Happy Sunday. 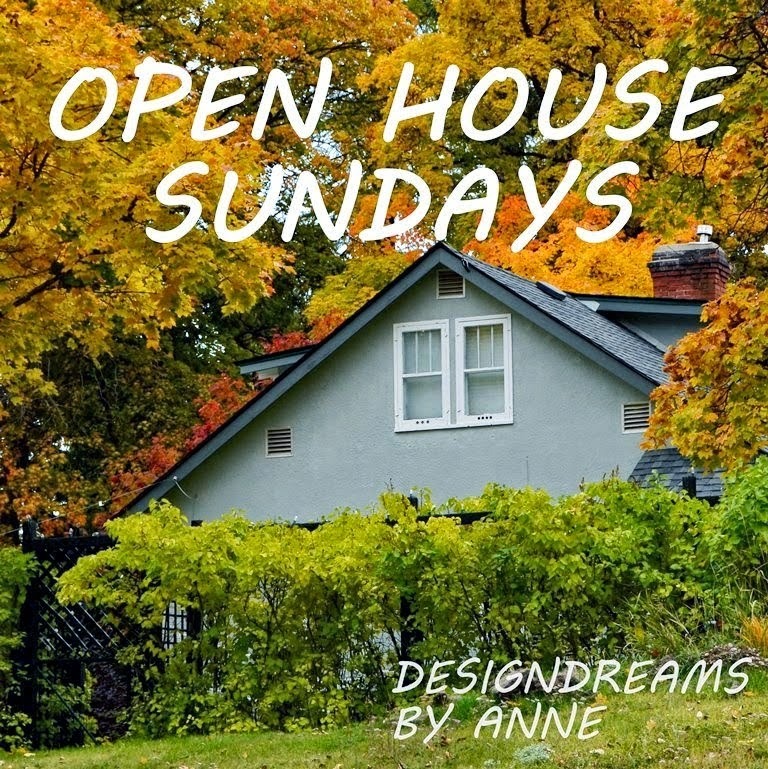 This Sunday I am being featured over at Design Dreams by Anne in her Open House Sunday Feature. I was excited when Anne invited me to be featured on her beautiful blog. So please hop over to Anne's blog and you can see my home featured there. Thank you Anne for this honor. Have a great Sunday and please stop by tomorrow I will have my dining room reveal!!!! Yeah!!!! finally done. I think I pinned every picture - loved seeing your home in the tour. What an honor, I adore your charming/beautiful and uniquely designed home. Really enjoyed your charming home and thank Anne for featuring it. So happy to see how you have recycled/repurposed vintage architectural to decorate your home. So interesting. Your plants are beautiful ... just shows that you love to garden. I wish with all my heart I could see your home for real. The pictures are just gorgeous...Loved the tour. Kris - Your home tour was fabulous! The only thing you forgot was when you mentioned the "Guest Room", it didn't say aka "Judy's Room". LOL Beautiful tour. Great feature, Kris. I so enjoyed seeing your gorgeous home in one tour. Just beautiful. Great feature - everything looks lovely as usual. Can hardly wait to see the dining room. Can't wait to see your dining room reveal! Hopping over to Anne's to see your feature! Congratulations. I'm headed over to check it out. Congrats! Can't wait to see the dining room! Kris, congrats on the feature - you chose some terrific photos of your home and things I love about it. I must admit, I was quit to look for the changes in the DR - nope, but I can't wait to see it! THat was a great feature and I' am in awe of your green thumb!! Congratulations on the great feature! I can' t wait to see your dining room! Congrats on being featured at Design Dreams by Anne. You have a fabulous house and I LOVE your decorating style! Taking a blogging break this week.